Plug No * 1234567891011121314151617181920 Check here to determine Plug No. 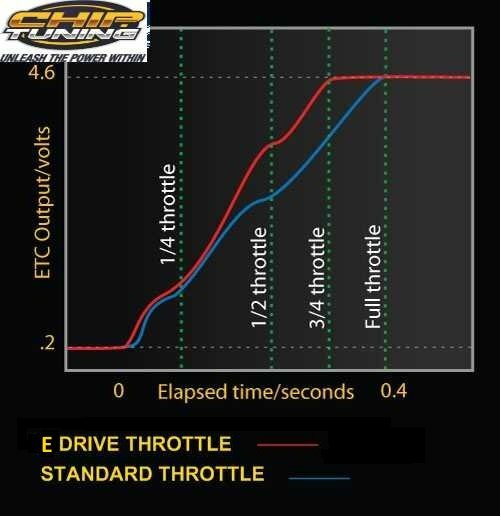 To face the trend of vehicle’s updated ECU processing speed we especially acknowledged this problem and spent great amounts of time and effort to develop “E-Drive Advance 4”, electronic throttle controller. 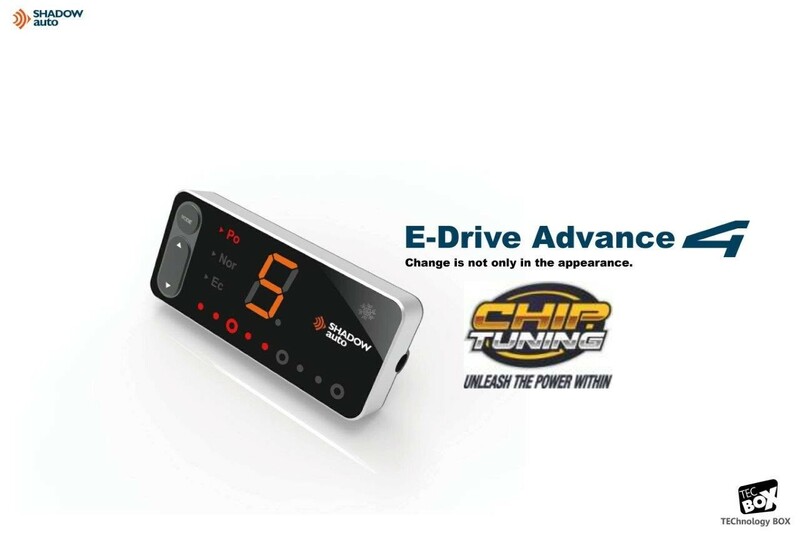 Through a more accurate and pure digital signal we designed the E-drive Advance 4 from the ground up to be completely compatible with the vehicle’s original ECU electronic throttle signal. E-drive 4 lets you enjoy the drive. EXCLUSIVE TO CHIP TUNING. FIRMWARE DEVELOPED BY US ON AUSSIE VEHICLES. AUSTRALIA’S ONLY GENUINE E-DRIVE 4 SUPPLIER. NO KNOCK OFFS. NEW anti-skid function allows the vehicle to move off the mark without wheel spin on slippery ground. NEW “Drag Racing” launch control function offers maximum acceleration. NEW anti-theft throttle lock function. NEW brake priority function; when brake pressed, throttle signal is automatically cancelled. DAC digital signal output offers 1000 times/sec processing speed. Built-in high speed processor greatly improves throttle signal response and stability. POWER Mode: 9 settings. 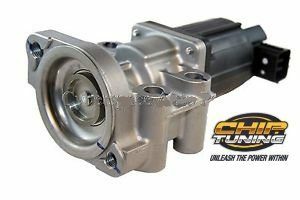 Adjustment from MILD to WILD for super sensitive throttle response suitable for hill climb & road racing events. ECO Mode: 7 steps, suitable for valet mode or driving in urban areas effectively reducing fuel consumption. Vehicle dedicated connectors makes installation fast and easy. Single button press for Drag Racing mode. In this mode, display shows “Drag Racing”. Step on the accelerator lightly gives you full power for even faster response. Suitable for drag racing in controlled environment, not for use on the street. High powered vehicles will easily skid on wet, muddy or snow covered ground whilst starting off which may send the vehicle spinning out of control. The new E-Drive Advance 4 is especially programmed with an anti-skid function that lets the driver control the vehicle’s take off easily on slippery ground. 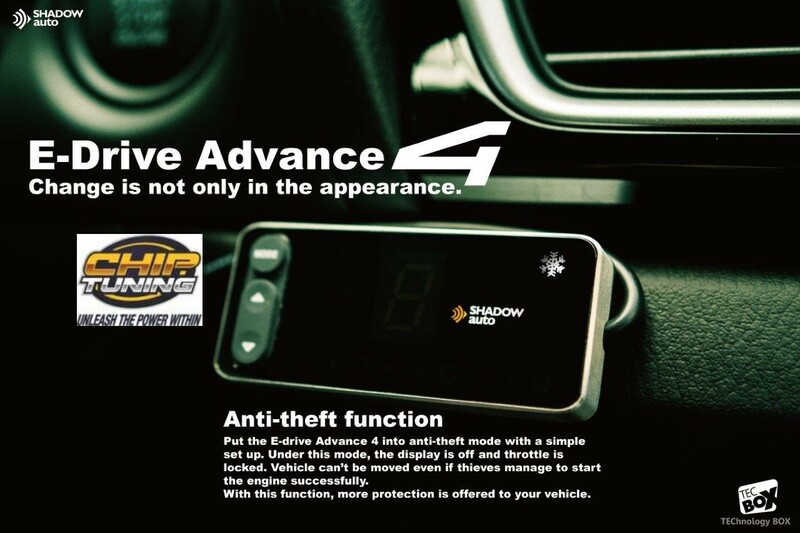 Put the E-Drive Advance 4 into anti-theft mode with a simple set up. In this mode, the display is off and throttle is locked. Vehicle can’t be moved even if thieves manage to start the engine successfully. 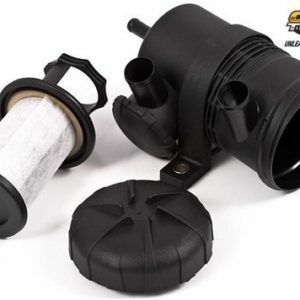 With this function, more protection is offered to your vehicle. The aluminum shell and glass polished faceplate mimics the new Shadow style. 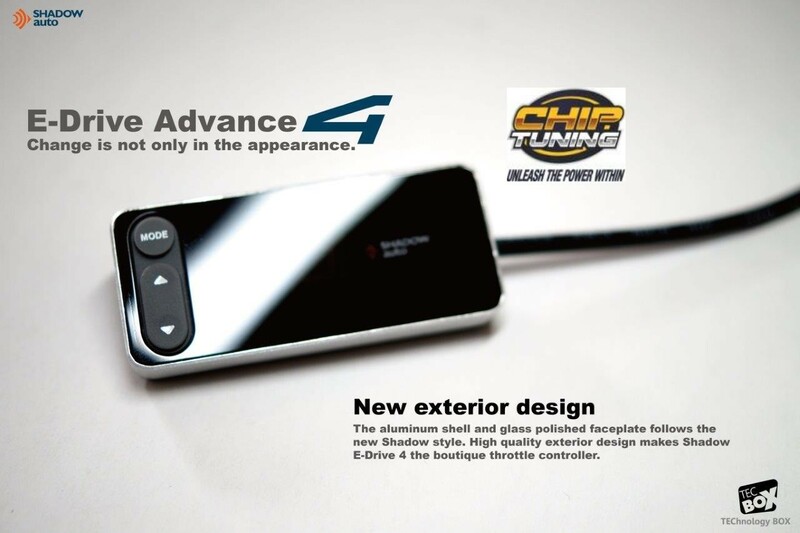 High quality exterior design makes Shadow E-Drive 4 the boutique throttle controller. 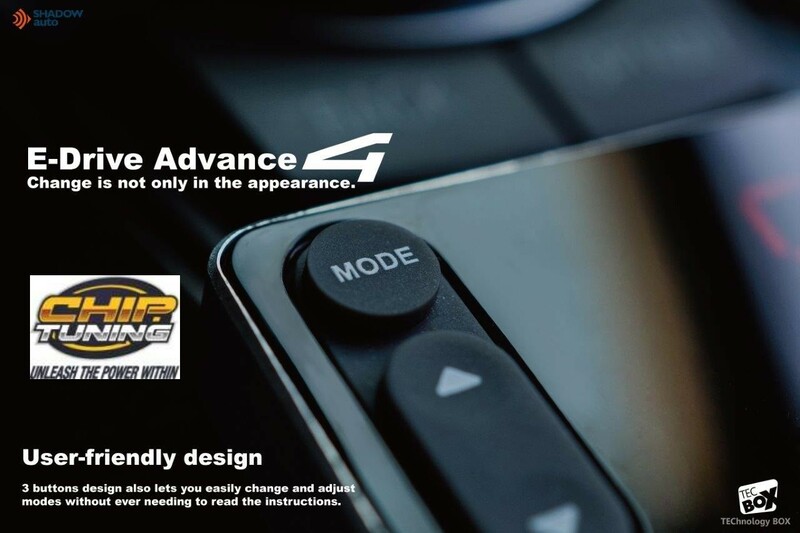 3 button design also lets you easily change and adjust modes without ever needing to read the instructions. The length of LED strip on the display face shows throttle opening percentage. 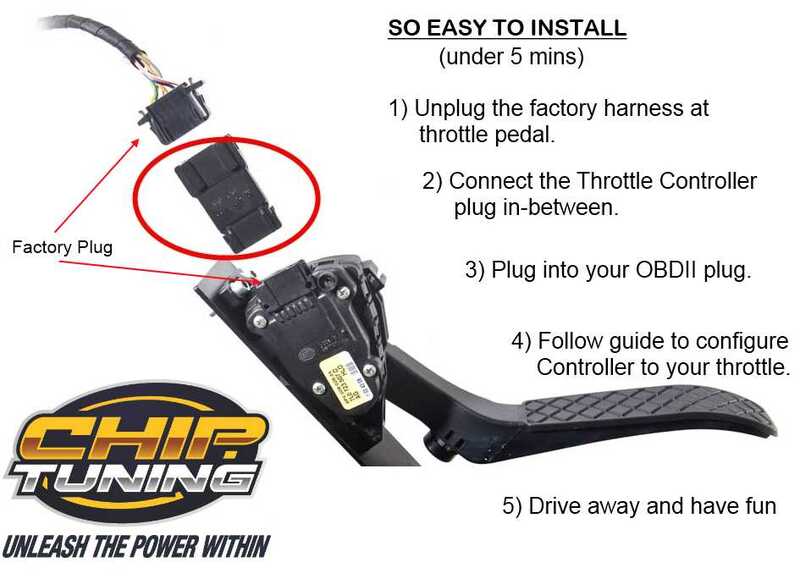 This clear information allows users to know what’s going on with the throttle at all times. 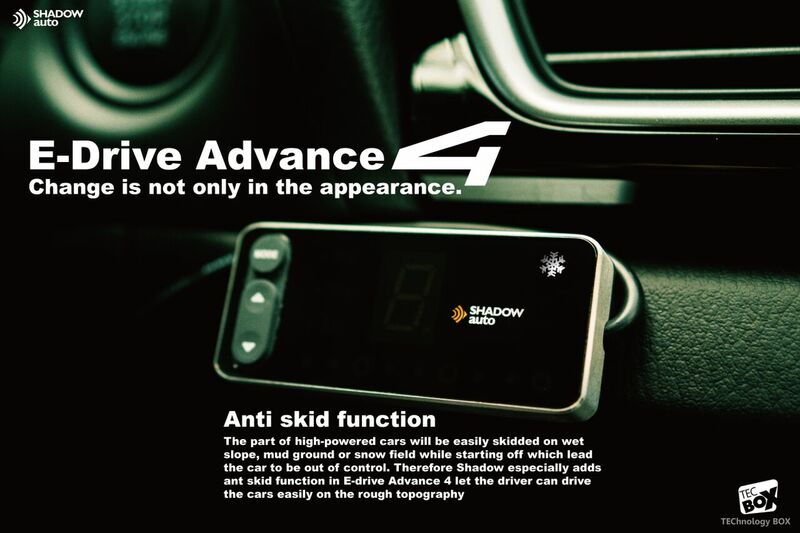 Shadow E-Drive 4 uses a DAC, (Digital to Analog Converter) which eliminates unnecessary use of capacitors and filters. This raises the stability and purity of the signal. Also, by using a DAC the speed of which the throttle signals are processed are 5x faster than a normal non DAC throttle controller. 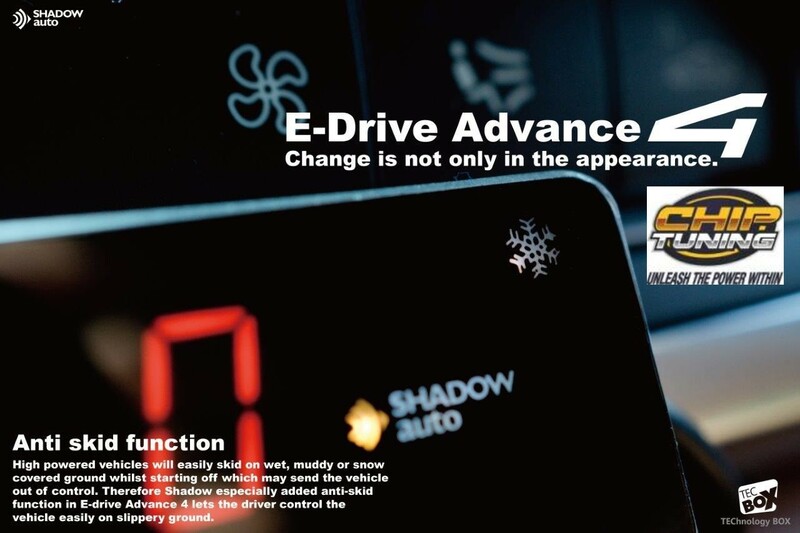 Shadow E-Drive 4 is thus more compatible with the original ECU throttle signal. 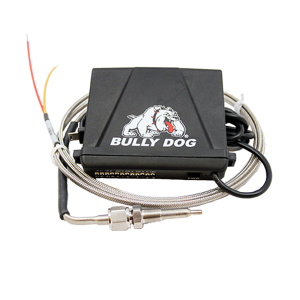 Built-in three core processors not only greatly upgrade the signal to 1024 steps/ 0-5V and is ultra-compatible with the original signal specs and also accelerates throttle signal reaction time. 3 modes: 17 settings. 9 settings in Power Mode, 7 settings ECO Mode, + normal mode. Driver can change mode at anytime – ON THE FLY. 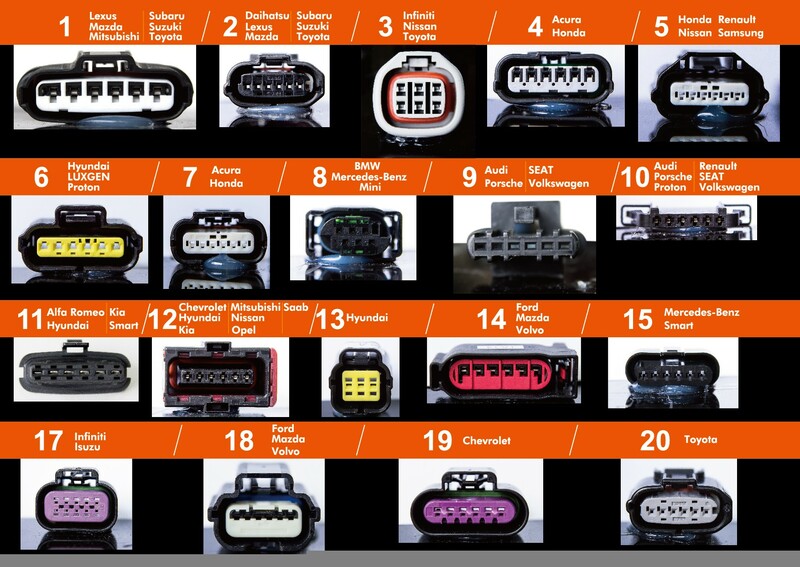 OEM grade dedicated connectors suit various vehicles. Only takes a few minutes to complete the installation without damaging the original vehicle wiring greatly decreasing installation errors. If you enjoy vehicle tuning, don’t miss this. You will be surprised with the ease of setup and use. 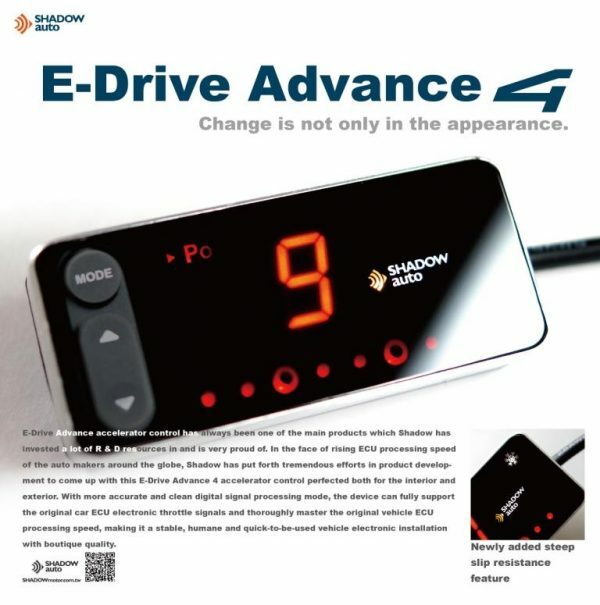 E-Drive Advance 4’s electronic throttle controller is one of Chip Tuning and Shadow’s main products and we devoted great amount of time developing this great product. We are proud of the heritage and continue it with the E-Drive Advance 4 Throttle Controller. DAC, Digital to Analog Converter Quintuple processing speed, quadruple signal compatibility, faster throttle reaction and higher signal stability. Two signal processor Three signal processor Analogs the original signal spec. completely, eliminating Check Engine Lights. Plastic shell Aluminum Shell Unique appearance of controller. 2 buttons 3 buttons User-friendly interface, easy and fast installation even without the manual. No Drag Racing launch control function Largely enhanced vehicle take-off speed. No Anti Skid function Decrease the chance of slipping when moving from stationary position on wet or snow covered ground. Ensures road safety. Locks the throttle signal. Make the throttle pedal ineffective. No Brake priority function Passing empty throttle signal when stepping on brake pedal. Avoid unintended acceleration.